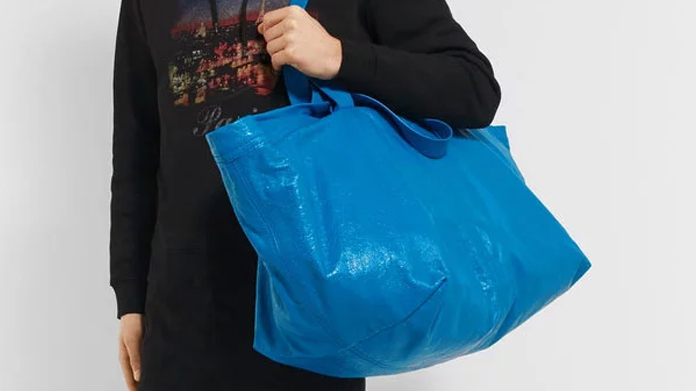 This week, the IKEA team happened to notice that Balenciaga had launched a blue bag. We couldn’t help but think looked strangely familiar. On closer inspection, the similarities to IKEA’s 40p FRAKTA bag of course became more and more striking. The big difference was that IKEA’s version comes in at a cracking £1,704.60 less than the Balenciaga offering (which features the same double strap and blue hue as the IKEA stalwart). It all looked to us like too good an opportunity to miss. A quick media alert and quote later, we were hitting the phones, selling it in far and wide to media. It also cleaned up across the fashion titles with Vogue, Grazia, Cosmo, Marie Claire, Stylist, Teen Vogue, Glamour and Refinery 29 (amongst so many others). And then it started to go around the world with pieces like Buzzfeed, Mashable, CNN, People, Stern, 20 Minutos, Berliner Morgenpost, el Periodico, El Pais, Focus, Corriere Della Serra, Today, Fortune and New York Post just a small handful of examples. Oh, and even the hipster and culture sites got on board. It’s not often that a quick newsjack makes Hypebae, Hypebeast, High Snobiety, Pedestrian and MTV! All from a clever spot and some smart media relations.